Former representative Frank Guinta (right). 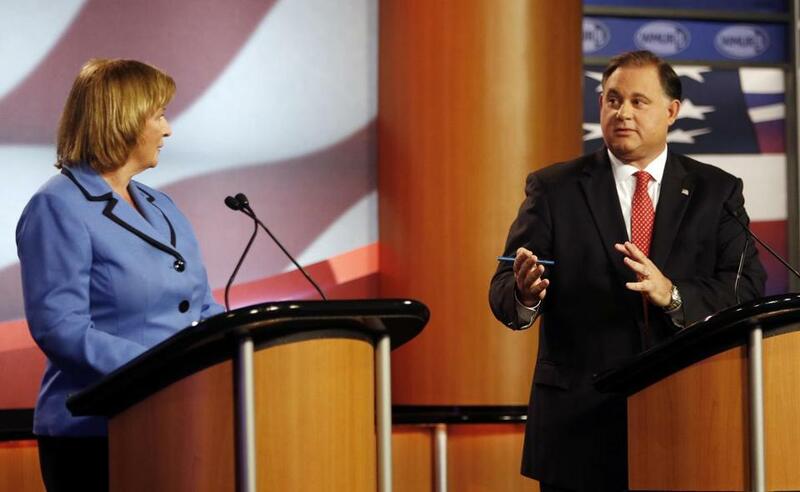 When Frank Guinta first ran for the New Hampshire congressional seat he won eight years ago, he was quick to criticize one of his biggest challengers for being a lobbyist. Now, after being defeated in 2016 . . . well, you know where this is going. A full year out of office, Guinta has joined ML Strategies, the lobbying arm of the Mintz Levin law firm. ML Strategies is the largest lobbying firm in Massachusetts, according to the Boston Business Journal. He joins the firm’s Washington office. In addition to serving two terms in Congress, Guinta also served as the mayor of Manchester. Guinta could not be reached for comment. Guinta had a rocky tenure in Congress. New Hampshire’s First Congressional District is the biggest swing district in the country; Guinta won two races for the seat and lost two. While he was in office, he admitted to filing improper campaign finance records in which he failed to properly record a loan from a family trust. Prior to being mayor, he worked as a key congressional aide and in the health care industry.